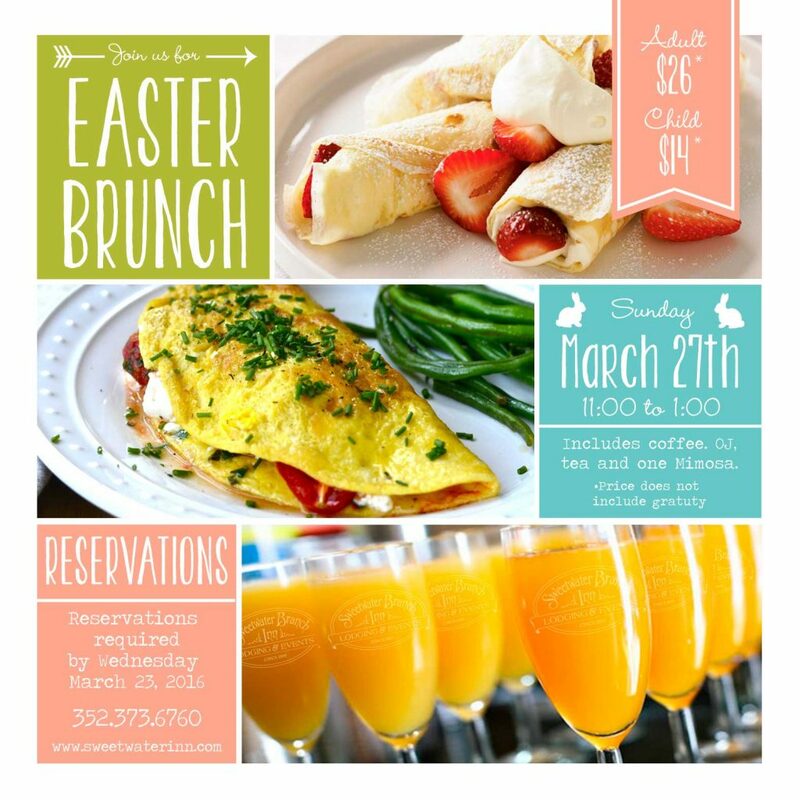 Join us for our Easter Brunch on March 27th from 11:00-1:00. Reservations required for this event by Wednesday March 23rd. To make your reservations call 352-373-6760 or email EVENTS to schedule your time.